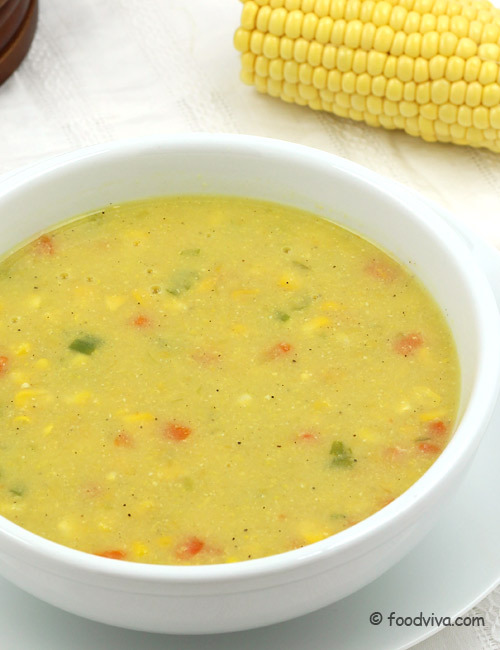 Sweet corn soup, a soup that is easy to prepare and always ready to satisfy your food cravings, can be easily made at home with this recipe. It has a restaurant like creamy and yummy taste and it’s healthy too. It tastes best when served as an appetizer by itself or with garlic bread as light dinner. Steamy hot soup is a great way to warm up during cold winter days. Follow the given step by step photo recipe to make it at home. Note: If spring onion (green onion) is not available, use the same amount of normal onion or french beans instead of it in this recipe. 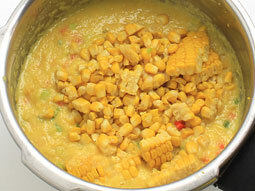 Add sweet corn cobs, 2 cups water and salt in a pressure cooker and cook them for 2-3 whistles over medium flame. Turn off the flame and let the pressure releases naturally. Open the lid, drain the water and let them cool for few minutes. 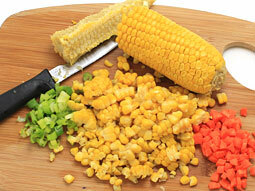 Remove the corn kernels using a knife. 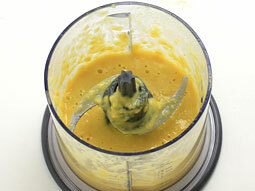 Dissolve 1/2 tablespoon corn flour (corn starch) in 1/4 cup water and keep aside. 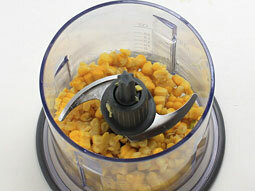 Add 3/4 cup boiled sweet corn kernels along with 1/4 cup water in the small jar of a blender or a mixer grinder. 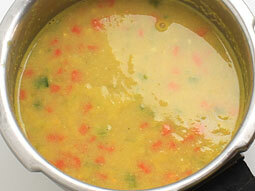 Add 2-cups vegetable stock (or water) and black pepper powder. 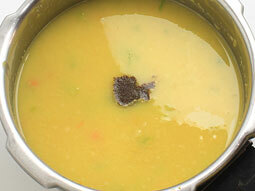 Cook until soup turns little thick, for around 4-5 minutes. Turn off the flame. 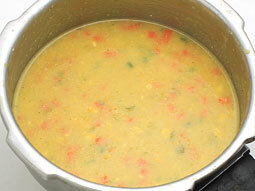 Sweet Corn Soup is ready to serve. For variation, add vegetables of your choice like cabbage, cauliflower, french beans etc. Serve chili sauce and vinegar on side with the soup. 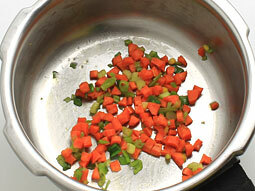 Add 1-teaspoon finely chopped ginger-garlic along with carrot in step-4 for variation. 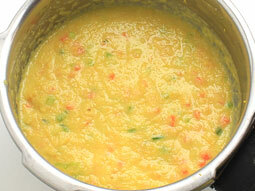 For smooth soup, strain the sweet corn puree (prepared in step-3) before adding. 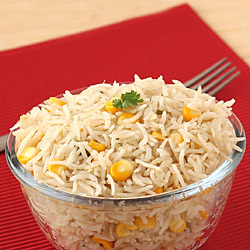 Serving Ideas: Serve it with garlic bread as an appetizer before the meal or with paneer manchurian and noodles.